Dr. Maria Montessori believed that no human being is educated by another person. He or she must do it by himself or herself or it will never be done. A truly educated individual continues learning long after the hours and years he or she spends in the classroom because that person is motivated from within by a natural curiosity and love for knowledge. Dr. Montessori felt, therefore, that the goal of early childhood education should not be to fill the child with facts from a pre-selected course of studies, but rather to cultivate the child’s own natural desire to learn. 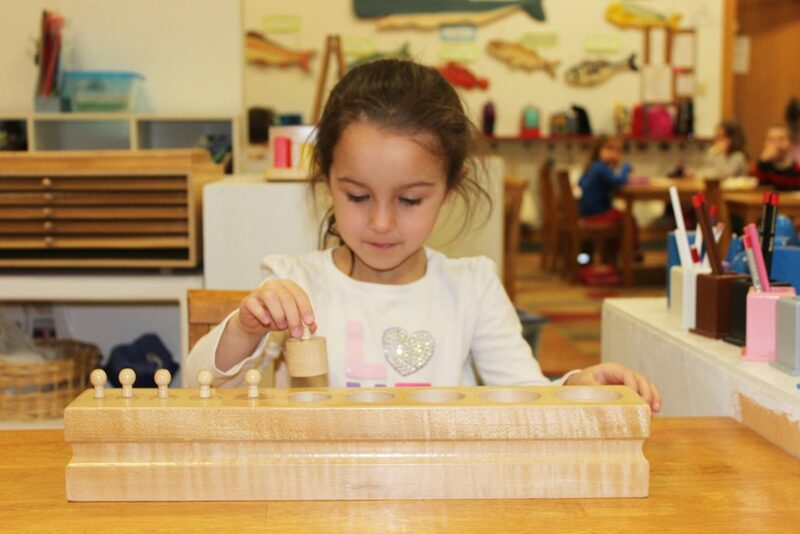 In the Montessori classroom, this objective is approached in two ways: First, by allowing each child to experience the excitement of learning by his or her own choice rather than by being forced. And second, by helping the child perfect his or her natural tools for learning. This way the child’s abilities will be maximized for future learning situations. The Montessori materials have this dual, long-range purpose in addition to their immediate purpose of giving specific information to the child.